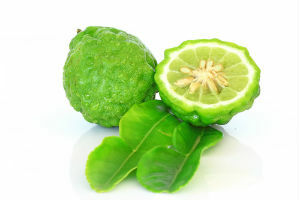 Bergamot, Citrus bergamia, was the very first oil I bought. It’s green citrus scent is fresh and lively and it does wonders for your personality! 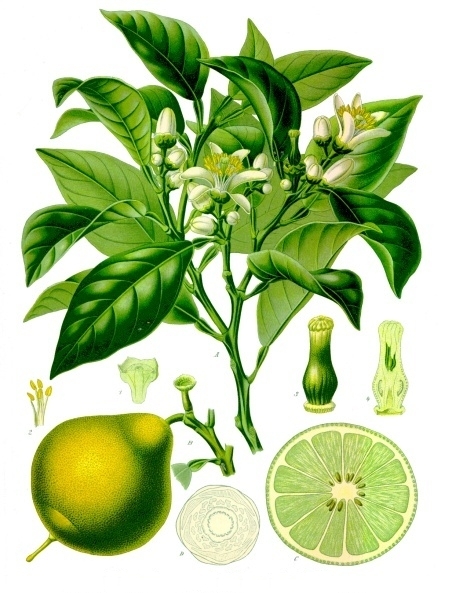 As you can see from the illustration above it is a green citrus fruit that is not usually eaten, but used for production of essential oils and fragrances. It has a deep history in Europe and was named after a town in Italy – yep – Bergamo. Most of the world’s production still comes from Italy but it is also produced in France and according to Wikipedia, it is produced in Turkey for marmalade. It’s a funny shaped little green citrus fruit which produces a most appealing and captivating scent. This is an oil you could use with children right through to a grandparent and get great results. And while we are on the subject, it is important to remember not to try and “cure” something with an essential oil, but to use these little gifts of nature to help you change focus, support your emotional well-being and to bring the beauty of the earth into your life. Having said that I bought bergamot essential oil to help with dermatitis I had on my hands and while I can’t exactly remembered if it helped me back then, it introduced me into a world of scented delights. This is a world that goes beyond any perfume and you only have to compare a whiff of essential oil to a whiff of perfume and see what happens. 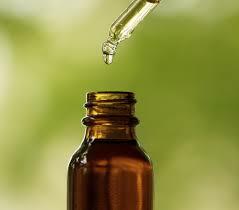 Essential oils are coded pieces of information that we can turn into experience! You can see from the pic the rind is very bubbly with an intense green colour and your essential oil should have a green tinge to it. The oil is high in limonene (which s present in many citrus and lemon scented plants), linalyl acetate and linalool (in lavender), and bergaptene which gives bergamot a warning of being phototoxic. I have a bergaptene free bergamot oil which I use with a client who gets a lot of sun. So from these few constituents you can see that bergamot could be relaxing like lavender, and refreshing like most citrus oils. It has become popular over the past few hundred years through perfumery and one of the most famous scents in the world Eau de Cologne, is based on the bitter-sweet citrus oils with other herbs blended into their award winning combination. I wrote an article about my childhood and my grandmother, and Eau de Cologne over at Australian Perfume Junkies about a year ago, so check it out if you feel so inclined. it’s the citrus flavour used in Earl Grey tea which is why a cup of this tea in the afternoon can refresh you and give you a little boost through the afternoon. Always remember the smell of an oil is very important, as we take in the oil through parts of our brain which can then use this information to create positive change in our bodies. So when you are having your next cup of Earl Grey tea remember to take in the scent while you’re drinking it too. Stay tuned and I’ll follow up this article with “10 Recipes with Bergamot”. This entry was posted in Essential Oil Profiles, Essential OIls and tagged aromatherapy, beauty, bergamot essential oil, clear your mind, consciousness, daily ritual, Earl Grey Tea, Eau de Cologne, essential oils, essential oils for acne, essential oils for anxiety, essential oils for children, essential oils for happiness, essential oils for improving your mood, essential oils for itchy skin, essential oils for skin disorders, essential oils for stress relief, essential oils for the elderly, natural scents, smile by suzannerbanks. Bookmark the permalink. So uplifting, what an interesting first choice of oils. mine was sandalwood, I think.